Receiving adjustments by a chiropractor can result in an increase in energy levels. A healthy spine will result in better sleep quality. Patients can expect to sleep for a longer duration and wake up without feeling fatigued or experiencing any discomfort. Chiropractic care can actually prevent several spine disorders by decreasing stress on the spine. Taking good care of your spine helps to improve balance issues experienced by many senior citizens. Routine chiropractic care helps with coordination concerns. Seeing a chiropractor on a regular basis will assist with patients gaining a greater mobility of joints. Your chiropractor will work with you to improve posture and can treat or prevent kyphosis (a forward rounding of the back), which can cause pain and disfiguration. Regular chiropractic care can improve the quality of life for senior citizens, aiding them to live independently for a longer duration of time. Chiropractic can help to prevent injuries due to falls. 1 in 4 seniors experience falls each year, which can be easily preventable by routine maintenance and have a healthy spine. A chiropractor, such as Dr. Todd Goldman, can suggest stretches and exercises that aid the spine and nervous system and can be done at home. Regular spinal adjustments can help to slow degeneration of the spine. 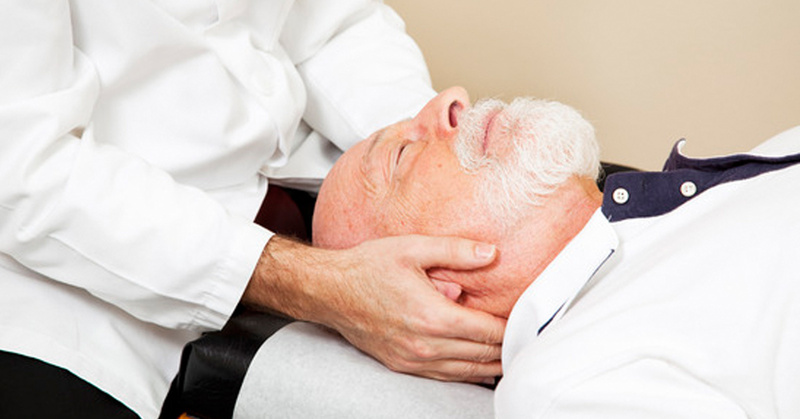 Spinal care can help to remedy and prevent back pain, experienced by many seniors. Whether for yourself or a loved one, there are endless benefits to starting a chiropractic regimen. Contact Total Chiropractic Care and Wellness today with any questions, or schedule an appointment online to come in and meet with us. You’ll be glad you did!